Please bear in mind that the Maybank Silver Investment Account is not insured by Perbadanan Insurans Deposit Malaysia (PIDM). 1. Maybank Silver Investment Account page. I heard Silver price is very volatile compared to other precious metals. Is it safe to invest on silver? Will we be getting returns just like gold investment? I am a newbie in silver investment scheme. 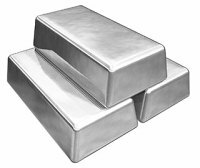 Please advise if I were to buy physical silver which is better:- coin or bar form? @Thiagu: There isn’t any investment which is purely safe. The safest is Fixed Deposit but still has minimal risk as well. Nothing is certain in an investment. @Chua Chin Aik: You buy physical ones, it will be a hassle. Where to keep it? If you keep it in the bank safebox, it is also a hassle as you need to go to the bank and do all those procedures. The best and easiest is to buy through banks. Easier to purchase and sell without much hassle. @Thiagu, for the past 10 years, silver did bring better ROI compare to gold. We can expect the similar for the coming years. The volatility is high, that’s why the return is high. Investment advice 101, high risk high return. @chua chin aik, silver coin is subject to import tax. You typically would buy with additional 15% from the vendor because the vendor has paid 15% as tax in advanced for the coin (legal tender). For bar, it is a more value for money investment. Usually cheaper than coin unless you are buying numismatic bar that come with nice packaging including a certificate. for the silver investment, it can or cannot buy or sell silver via online ? ?or it must proceed to Maybank?? Besides, is it all the branch provide silver investment or just some branch only?? @Net Chong, you cannot buy / sell silver online with Maybank. You must transact it over the counter. As far as I know, you can open an account and trade silver in all branch.